"Perfect Shirt for sport cllimbing and climbing trips. The Millet Roc Session lifestyle for women. Light Heather Polycotton: cotton and polyester fibres give this fabric a lightweight, mottled look while retaining the natural comfort of cotton. 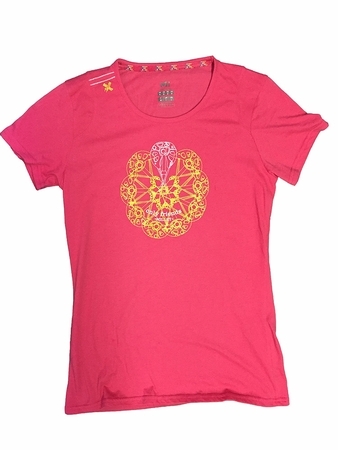 Features: short sleeves, round scoop neck, colour-contrast overstitching, exclusive Millet graphics. 50% cotton, 50% polyester "